Euroway Industrial Service is an authorized supplier and installer of Rafna hyrail and Harsco Track hyrail equipment. We have over twenty years of experience in installing and servicing any type of hyrail. 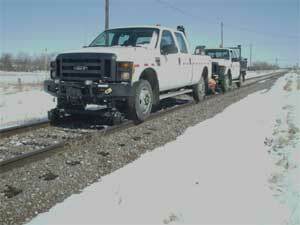 All units are track tested following installation.